It is a quality in short supply across the land these days, but if it is something you crave, take a cue from a spunky carrot-topped orphan who inspires optimism in a Depression-era Hooverville of homeless souls as well as in FDR and his presidential cabinet. 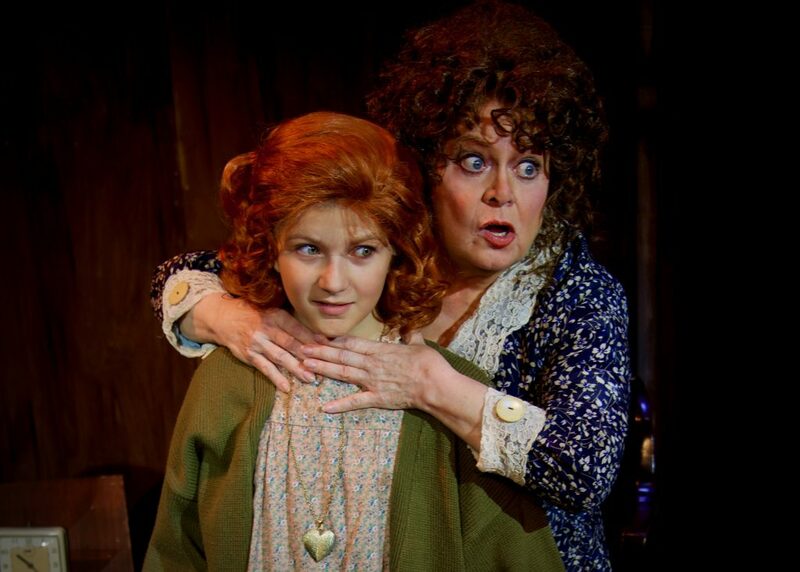 I’m referring, of course, to the musical Annie, currently receiving a near-perfect production at Boca Raton’s Wick Theatre, headlined by an anything-for-a-laugh clown named Sally Struthers as alcoholic, child-detesting orphanage matron, Aggie Hannigan. The Wick has had its troubles over the years injecting box office names into its shows, but Struthers is the casting choice that demonstrates how successful such a commercial strategy can be. All but unrecognizable from All in the Family’s Gloria Stivic – true, that was almost 50 years ago – the plus-sized performer gives a master class in physical comedy, seething with rage over her moppet charges, afflicted with well-timed nervous facial tics and eye twitches. Struthers is reason enough to put Annie on your holiday shopping list, but there isn’t a weak link in the nearly three dozen cast members. 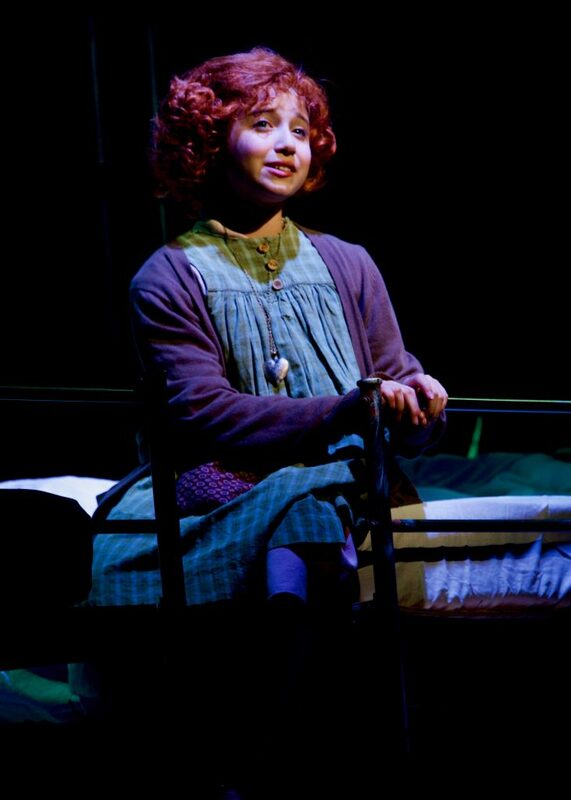 Foremost is pre-teen stage veteran Peyton Ella, a Mermanesque Annie whose vocal oomph can convince even the most skeptical that the sun will come out tomorrow. The dozen or so orphans are not only adorable, but they execute director Norb Joerder’s rousing dance steps with professional panache, most notably on the second act showstopper, “You’re Never Fully Dressed Without a Smile.” The Wick went with the nation’s premier animal wrangler, William Berloni, whose trained stray Addison is a very convincing Sandy, drawing collective “Awws” from the audience with his every entrance. Also to the theater’s credit, it opted for live music – a seven-piece ensemble led by the reliable Eric Alsford – a solid accompaniment for the brassy Charles Strouse/Martin Charnin score. 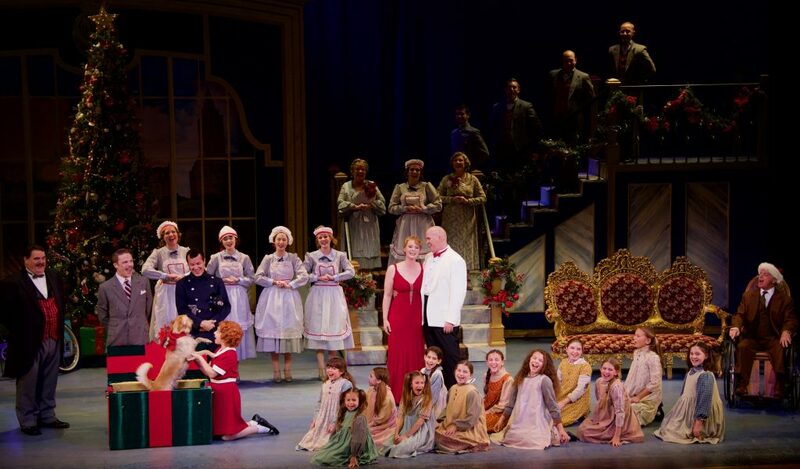 In all, this is a production that the entire family should enjoy, two-and-a-half hours of slick stagecraft geared to foster optimism and maybe a little holiday spirit. ANNIE, The Wick Theatre, 7901 N. Federal Highway, Boca Raton. Through Dec. 23. $75-$85. 561-995-2333 or visit thewick.org. Is there a reason Struthers is referred to as a “plus-sized performer?” Is there not another adjective you could use to describe her? Clearly you enjoyed her performance–what does being plus-sized have anything to do with it? You go on to share that she’s giving a master class in musical comedy, but use a an adjective with a negative connotation to describe her.